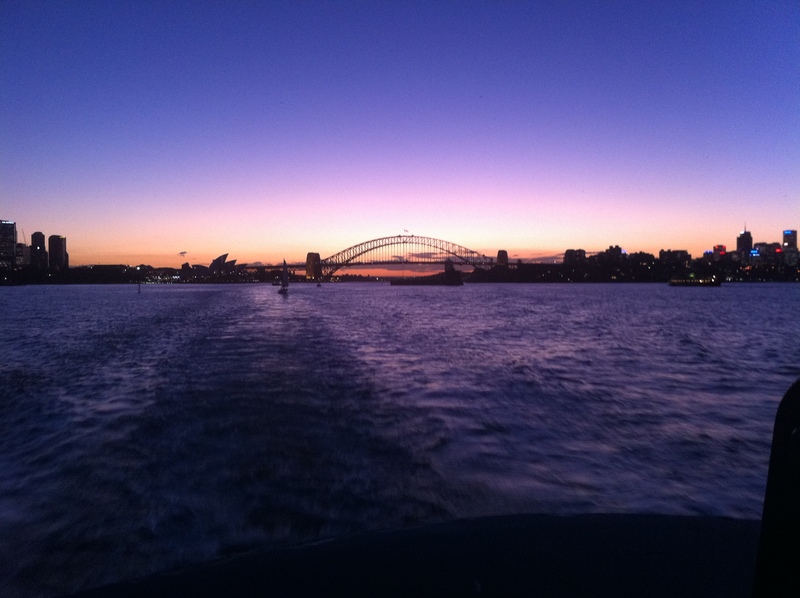 BotF was very excited when Tony from Toowoomba graced our shores and indeed the Back of the Ferry. Swept up in the excitement was a review of Tuborg Green, which upon reflection was very terse and very harsh. With it still being on special at Mr Liquor at Circular Quay, we decided to give it another go. It certainly isn’t “crap”, but it is also not memorable. Very Euro and very malty. On a hot day, this would be eminently sessionable and if it remains on special at Mr Liquor it may get another run. Tuborg is a Danish beer that was founded in Copenhagen. It has been subsequently been taken over by Carlsberg but has maintained very strong independent branding and is extremely popular throughout Europe. They make a big deal about their “innovative” ring pull top, but Coopers gave that up years ago when they realised the quality of the beer was more important. 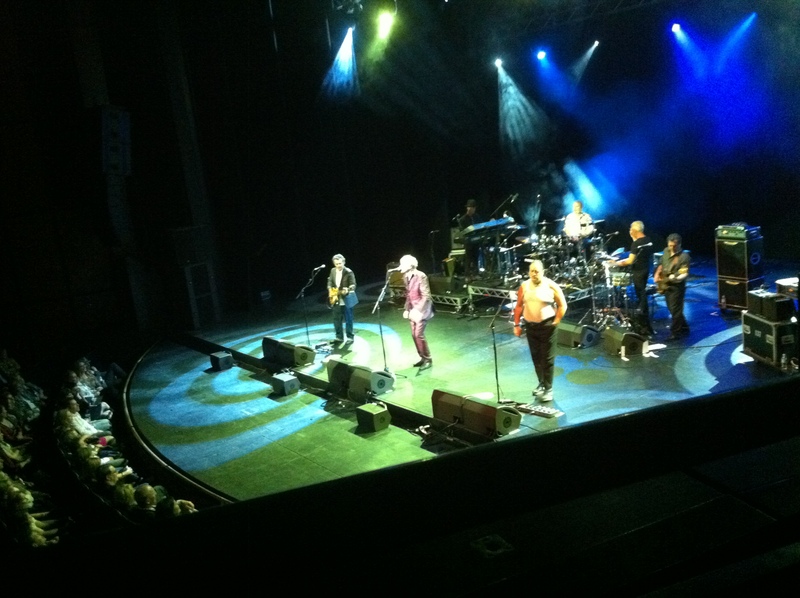 Without any segue at all, I have to report that I saw Bob Geldof live on Sunday night and got to hear I Don’t Like Mondays. Bob was not that keen to perform but really nailed it. He then performed a rollicking, Springsteenesque version of Rat Trap that demonstrated the quality of his band. A stand out was Vince Lampard, his fiddler, recorder player and back up singer – whose string vest will live in my memory for some time. Tuesday night on the BotF was a pretty wet and windy evening. It is starting to get to the time when you start to warm yourself up on the inside to ward off the cold and a 500ml German will do the trick. 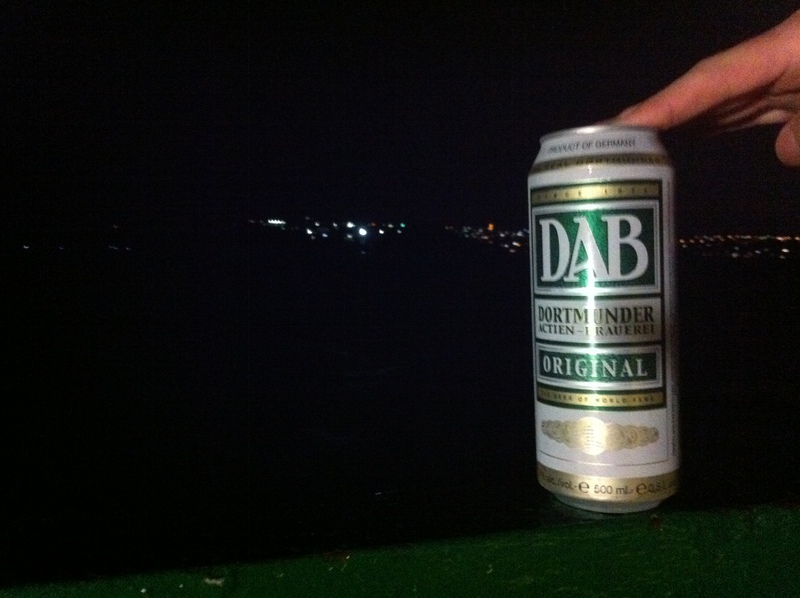 DAB stands for Dortmunder Actien Brauerei and the beer is as perfunctory as the name. Yah – it is a beer from Dortmund, it is alcoholic and it is wet. It ticks all the boxes and comes in a 500ml can – but with cheaper similar drops – this might be the one and only run for DAB on the BotF. Wednesday’s trip home was bliss. Sydney’s grip on warm weather is being well and truly prised open, but tonight, whilst not balmy, was clear and temperate. The 5.30pm is definitely the best for eye candy with the sunset looking wonderful this evening.